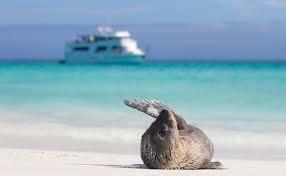 For the seasoned charterer, the Galapagos Islands will surely rate among the most precious of destinations. Their isolation from the mainland has, over time, resulted in an extraordinary ecosystem famed for its role in influencing Darwin’s theories on evolution. 25% of the shore fish, 50% of the plants and almost all the reptiles found here are exclusive to the area. It’s perhaps not surprising that access to such a rich ecosystem is tightly controlled but don’t let that put you off. The Islands are a delightful cruising ground and with the aid of a guide the sights and sounds of this exceptional place – not seen or heard anywhere else in the world, will stay with you for life.